Chido is a third year Doctor of Medicine (M.D.) student at the University of Melbourne. 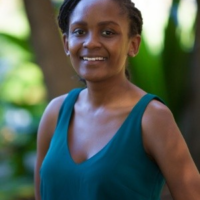 She is commencing a research project with the Centre for Culture, Ethnicity & Health (CEH) looking at facilitators and barriers to access to pre-exposure prophylaxis (PrEP) for people of African migrant background in Australia. Chido is passionate about media, film and television, and hopes to pursue a career in health promotion, engagement, and education. She also enjoys performing comedy at various venues around Melbourne as she believes this is a fun medium to tell stories and empower audiences. Approximately a quarter of young Australians aged 16 – 24 have experienced mental health problems in the past year. Mental health and substance abuse disorders account for 60% – 70% of the disease burden in youth. Cultural and linguistic diversity is an important feature of Australia’s population, with the proportion of people born overseas projected to be 32% by 2050. Unfortunately, there is limited research and data about mental health in CALD communities and youth in particular  . That being said, it is known that CALD populations have more socially determined risk factors and higher levels of mental health problems ,. These risk factors include social disadvantage, separation from communities and culture, language barriers, racial discrimination and traumatic experiences prior to immigration. On the other hand, some of the protective factors to prevent mental health problems have been identified as, good self-esteem, insight about mental wellbeing and life-skills, coping with education demands, good English language acquisition, experiencing success and optimism in some part of their life, supportive networks, role models, connection with school, family, culture and faith ,. Given the projected growth of the CALD community in Australia and the fact that youth are in a critical period where early intervention could impact lifelong wellbeing, it is important that we develop ways to address the needs of this group. In the last decade State and Federal levels developed mental health reforms to address youth mental health, but the challenges unique to CALD youth need to continue to be addressed. Given the projected growth of the CALD community in Australia and the fact that youth are in a critical period where early intervention could impact lifelong wellbeing, it is important that we develop ways to address the needs of this group ,. This article will briefly look at some of the services and initiatives taken to improve CALD mental health and potential areas of improvement to promote mental wellbeing in CALD youth. Mental health services funded with a focus on CALD communities include a national mental health online portal, Access to Allied Psychological Services (ATAPS) programme for Medicare holders – which gives priority to people who have difficulty in accessing mental health treatment in the primary care through support for costs and interpreter services, community support programs, programme of Assistance for Survivors of Torture and Trauma (PASTT), and national suicide prevention programmes. There are also specialist adolescent services. However, many youth underutilise mental health services. In particular, CALD youth with a migrant and refugee background have been shown to be reluctant to seek professional support. This results in later presentations with more severe illness . It is important for us to recognise and target these potential gateways to mental health support. Some of the barriers to accessing support include individual, cultural (such as stigma in the community), transport barriers and service-related barriers. However, CALD youth have been found to access support through friends, religious communities, school personnel, and for youth in general – the internet. It is important for us to recognise and target these potential gateways to mental health support . This can be done by improving individual and peer education by providing skills to identify, cope, and create safe spaces to address mental health issues. We can also continue to ensure that, settlement services, school counsellors, general practitioners, and websites of organisations such as Headspace and Beyondblue are well equipped to engage and/or are located in areas to address the needs of CALD youth . An intervention currently underway to engage youth in Victoria is the Doctors in Secondary Schools program. Hopefully this will assist in removing potential barriers to access, such as transport, for students in secondary school. Services need to continue to take measures to engage and assist CALD youth. Potentially, this could be done through the emphasis of “cultural responsiveness”. Cultural responsiveness has been described as “health care services that are respectful of, and relevant to, the health beliefs, health practices, culture and linguistic needs of diverse consumer/patient populations and communities. That is, communities whose members identify as having particular cultural or linguistic affiliations by virtue of their place of birth, ancestry or ethnic origin, religion, preferred language or language spoken at home. Cultural responsiveness describes the capacity to respond to the healthcare issues of diverse communities. It thus requires knowledge and capacity at different levels of intervention: systemic, organisational, professional and individual”. The Mental Health in Multicultural Australia (MHiMA) project assisted in the development of the Cultural Responsiveness Framework for services. The framework offers online support tools and resources and highlights the multi-level nature of cultural responsiveness. Services could establish portfolios to address the needs of CALD youth and employ youth of CALD backgrounds with lived experience to lead these portfolios and work with youth. Staff could receive training and auditing regarding the incorporation of cultural responsiveness in their practice. Ensuring that interpreters are available for youth who may require them would also be important. Engaging CALD youth to receive their feedback on the services and implementing their recommendations for planning future initiatives would be key to ensure their needs are met and engagement is maintained. Finally, ongoing research will need to be undertaken to evaluate the success of these initiatives. We do acknowledge that these interventions will require funding, but if we consider that early intervention would prevent the need for ongoing treatment and costs associated with severe mental health problems, these interventions would be worth our efforts. Addressing mental health in CALD youth requires multiple interventions at different levels. Services need to continue to work with CALD youth to continue improving access and maintaining engagement through the development of culturally responsive initiatives. It will be interesting to see how utilising technology via online services and mobile applications – which are already widely in use – can be tailored to provide support and improve access for CALD youth. Finally, addressing the individual and community through continuing to research, advocate, educate, de-stigmatise, give peer support, and provide safe spaces – at school, through music, art, sport, online – will enhance protective factors to promote mental wellbeing. Minas H, Kakuma R, San Too L, Vayani H, Orapeleng S, Prasad-Ildes R, et al. Mental health research and evaluation in multicultural Australia: developing a culture of inclusion. International journal of mental health systems. 2013;7(1):23. The Department of Health. Cultural responsiveness framework. Guidelines for Victorian health services. Published by Rural and Regional Health and Aged Care Services, Victorian Government.